Each October we select one of our seedlings, never before introduced, to be named by you, our fellow Iris enthusiasts. This year’s candidate is a lovely dark cherry, very logically (although unimaginatively) named MM1288-A. This newcomer stands 36 inches tall and blooms early in the season. Contest open to US residents only. Entry deadline is 9:00 p.m. Pacific, Sunday, October 28, 2018. The winner will be notified via email in November 2018. 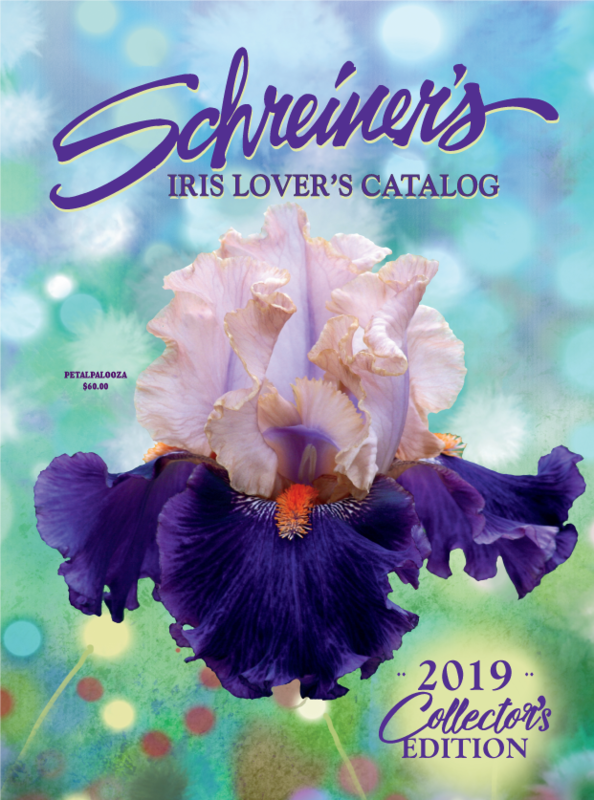 Winner will receive one plant of the named Iris (shipped summer 2019) and a $25 gift certificate to Schreiner’s Iris Gardens (mailed with a copy of the 2019 catalog in the spring of 2019). The contest winner will be notified via email. Categories: bearded iris, Iris Contest, iris farm, Naming Iris, Schreiner's, Schreiner's Iris Gardens, Uncategorized | Tags: hybridizing, iris, iris names, iris nursery, naming contest, Tall Bearded Iris | Permalink. Hello just got the news letter today. Congratulations to the lucky winner. And I can’t what for the new 2019 irises. Dose anyone now if a name was given yet to this pretty little iris. Because I’ve checked my email & the website daily all November long. Just curious is all. Oh, no! I suggested Cherry Bomb on October 25th, but I don’t see my comment. :. ( I know it was there before. No worries, Sherry. We’ve add your entry to the list. Thank you! “Pinot Noir” and it would go great with chocolate covered cherries, but I wouldn’t name it that. It doesn’t roll off the tongue. This Iris is just breathtaking. Missed the naming contest, but sure someone will definitely do this beauty justice. A true stunner. Irises that deserve the Dykes Memorial Medal. #1 Prosit because it the first true Red in my opinion it might not be ” Fire Engine Red ” but it’s beautiful to me. #2 Cold As Ice the minute I saw that iceberg Blue it was love at first sight. It’s a color you daydream about again an again and here it is. #3 Let Evening Come I love the Gray-Lavender-Blue Standard and Lemon Falls an the fact that it’s fragrant is a huge plus. And #4 Royal Snowcap for the color and how many Irises get ” ten to thirteen buds a stem ” from what i now just this cutie. Again these are just suggestions from a New Jersey gardening lover. I’m sorry I missed the opportunity – it is beautiful – I would have said Lunar Eclipse. Just stunning. I lean more to the darker colors. This one is a must have. I would go with Sundae Topper. Yum! ‘Midnight Wonder’ is my suggestion. Stunning! which filled 9 beds. I can hardly wait until next year to see them bloom! Alaskan Midnight is my suggested name. Hello Linda. Thank you for choosing Schreiner’s Iris Gardens! Your garden will surely be a traffic stopper next spring! (Is that too much??) Warm regards. I think “Cherry Jubilee” would be a perfect name and shes beautiful! She has a fire like no other iris I’ve seen! Love it! My suggestion was “Shadow of the New Moon”. Hope it wins. Beautiful and mysterious. Graceful and enchanting. ODILE, for sure. She needs a companion blooming opposite her…ODETTE, perhaps? Gorgeous Iris!!! Black Iris is (one) of my favorites! This one looks rich and regal. What about “Black Velvet” ? Cerise Noire. I read the description & thought oh black cherry but in French. Love the black cherry hoping my suggestion makes the cut. May the best name win!. This is a beautiful Iris. Raven Berlinda is a suggestion. Burlinda means very beautiful. Raven because like the bird the color can appear a different color depending on how light is hitting it. Likely “Bewitched” has already been taken. When I was in high school – so many, many years ago I started buying your Iris. Some of them have moved from Minnesota to California, then New Hampshire and now New Mexico. Just retired from my 501c3 Chihuahua (and missilanices others). Named our rescue “Quixote Humane, after my favorite book “The Man of LaMancha”. Aldonza Maria, Maria Del Sanyo. Don Quixote del Oro. To dream the impossible dream. We called him Coyote. A possible name would be “Imp”. Simple and sweet. Thank you, Judy! What an incredible journey you have enjoyed! Wishing you all the best! I’m moving to New Mexico..Are you anywhere near Las Cruces?? Hi Sally, Thank you for the question. We are located in Salem, Oregon. I was born and raised in Minnesota. My mother had some old timer iris and a few roses. Dad did the apple trees. I moved to California and then met a married, moved to New Hampshire. I “did not like” the winters there so moved to New Mexico. Many of my iris have traveled with me. And always a Chihuahuas! I have not tended my gardens as well as I would like. Small dog rescue distracted me for the past 18 years. No. Just south of Albuquerque in Bosque Farms. We have lived here for 20 years. I am glad we settled here. Born in Minnesota, moved to California and then New Hampshire. This is home! Let me know what you need to know. Bosque Farms has a senior Center with all kinds of programs and even meals for seniors. Lots of non-profits to help with most of seniors in need. Hope you land as well as we did. Almost Heaven. Congratulations! The new Bearded Iris is absolutely hauntingly beautiful! The petals resemble the most expensive velvet! I can imagine it placed among the palest ivory colored bearded iris! What a beautiful specimen; the dark cherry color is so romantic and mysterious!!! I had 15 of your beauties in my garden this summer standing tall and would love to add this lovely lady. I believe she was born in the dark of the night and certainly is a Queen, definitely a MIDNIGHT QUEEN. This contest is a great way to make your flowers more personal and special to your customers. Thank you, Kay! We enjoy receiving the suggested names. Folks are so creative! It’s fun to see folks get inspired. what a beautiful new iris-congratulations. My recommendation for this beauty is simply BING-reminiscent of Yakima Valley’s wonderful spring cherry variety named BING. This is a gorgeous flower, thanks for sharing.